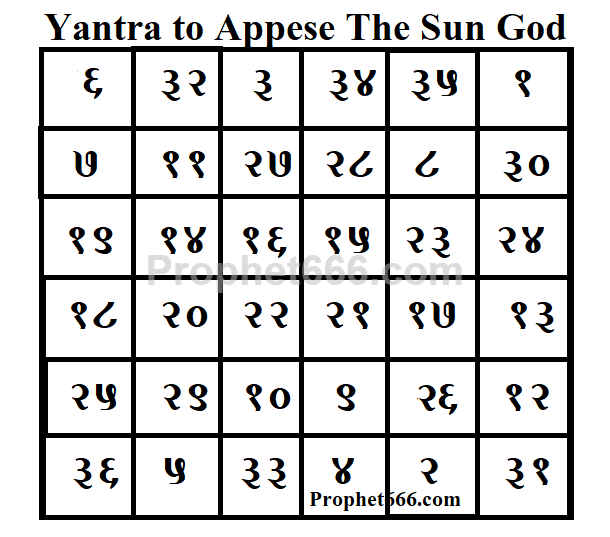 The Yantra is also effective in removing Surya Graha Dosha, those people who are afflicted with this Dosha or those people having an unhelpful, weak or dull Sun in their horoscopes will find this Yantra useful. Wearing this Yantra will also give the practitioner self-confidence, courage and strength and make him appear dynamic and radiant. The simplified procedure of making and using this Surya Yantra is given below. 1] The Yantra should be prepared during the period of the Pushya, Krittika, Uttara Phalguni or Uttarashada Nakshatra, which falls on a Sunday. These are the most auspicious periods for making and using this Surya Dev Yantra. 2] For keeping the Yantra on your body, it should be prepared on a Bhojpatra. The paste of Kesar and Raktchandana should be used as the ink and an Anar Kalam as the pen. 3] If you wish to keep the Surya Yantra in your place of worship, then you should get it prepared on copper. 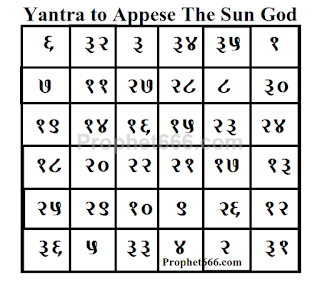 4] In both the cases, the Yantra should be worshiped by lighting Dhoop and Diya in front of it offering it fresh flowers. 5] The practitioner can chant any preferred Surya Mantra for 1 Mala and recite the Surya Dev Aarti and chant any prayer of Surya Dev, like the Surya Ashtakam or any other preferred prayer of Surya Dev. 6] The Bhojpatra Yantra can be inserted in a metal locket and worn around the neck, like a good luck attraction charm. Isn’t Pushya Nakshatra for shani?